The Buffalo History Gazette: Dart Street in Buffalo; So Who Was Dart? Dart Street in Buffalo; So Who Was Dart? No Buffalonian could be more deserving of having a street named in his honor than the late Joseph Dart, inventor of the grain elevator. For Mr. Dart refused to patent his invention, preferring that it should be his gift to humanity. His spirit of service and humanitarianism would have been remarkable at anytime, but was especially so back in 1842, when his invention brought on the response, "Dart, I am sorry for you; I've been through the mill, it won't do, remember what I say: Irishmen's backs are the cheapest elevators ever built." Dart Street runs from Forest Avenue to Letchworth Street. (See map at bottom) It's godfather, Joseph Dart, was born at Middle Haddam Conn. in 1799. In 1821 he came to Buffalo, then a village with a population of 1,800. He became a partner of Joseph Stocking, in the hat, cap and fur business, and took his work so seriously that he learned to speak the Indian language in order to trade with the braves of the Six Nations. His store on the Southeast corner of Main and Swan Streets, was the first place an Indian visited when he came into town. Chief Red Jacket dropped in frequently. He trusted Dart, enough to leave valuables with him while he did business elsewhere in town. In 1830 he married Dotha Dennison of Norfolk Conn. They were the parents of seven children. They lived on Swan, South Division and Erie Streets successively, when each was in it's heyday. In 1858 Dart bought an ample house on the NE corner of Niagara and Georgia Sts. For several years, Mr. Dart was a pioneer lumber dealer here. Keenly interested in the progress, culture, and religious life of this city, he was an originator of the Buffalo water works, a founder of the Buffalo Female Academy (Buffalo Seminary), and a member and loyal supporter of the Buffalo Historical Society. His greatest legacy which eventually was adopted in ports throughout the world and revolutionized commerce everywhere, was the Grain Elevator. moveable leg run by steam with attached storage bins. the Dart when it Burned in 1863. His story In Joseph Dart's own narrative: "It was not until the 1830's that grain in any considerable quantities, began to pass through this place to the markets of the East; and in 1835 the entire annual receipts were only one hundred and twelve thousand bushels. From that time, however, there began to be a very rapid increase, rising from a half a million bushels in 1836, to nearly two million bushels in 1841; an increase of 400% in five years. It seemed to me as I reflected on the amazing extent of the grain producing regions of the Prairie West, and the favorable position of Buffalo for receiving their products, that the eastward movement of grain through this port, would soon exceed anything the boldest imagination had conceived. "It seemed very clear to me that such an increasing trade demanded largely increased facilities for it's accommodation at this point. "Already, with near two million bushels received in 1841, unavoidable delays in the transshipment at this port were frequent, and were the occasion of much vexation and expense. 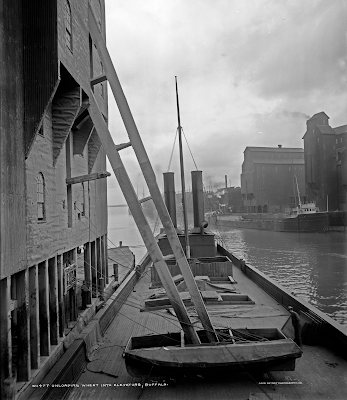 Up to this time, the universal method of transfer was to raise the grain from the hold of the vessel, in barrels, by tackle and block, to weigh with hopper and scales swung over the hatchway of the canal boat, or carry it into the warehouse in bags or baskets, on men's shoulders. This method, even at this present day(1865), is largely in use in the cities of New York, Philadelphia, Baltimore and Boston, which illustrates the force of habit; as a small army of men may be seen with baskets on their shoulders, unloading vessels, at immense cost of money and time, to say nothing of pecuniary loss. Only ten or fifteen bushels were commonly weighed in a draft; and the most that could be accomplished in a day, with a full set of hands, was to transfer some 1,800 to 2,000 bushels and this only when the weather was fair. On the average one fourth of the time was lost by rain or high winds. In these circumstances, I determined in 1841, to try steam power for the transfer of grain for commercial purposes." "Predictions of failure were somewhat freely expressed. I believed however that I could build a warehouse of large capacity, for storage, with an adjustable elevator and conveyors, to be worked by steam; and so arranged as to transfer grain from vessels to boats or bins with cheapness and dispatch. Amid many difficulties, discouragements and delays, I began the work of erecting the building on Buffalo Creek, at the junction of the Evans Ship Canal, in the autumn of 1842. ...I believe it was the first steam transfer and storage elevator in the world. It was the first successful application of the valuable invention of Oliver Evans to the commercial purpose for which it is now extensively employed. "My experiment from the very first working was a decided and acknowledged success." 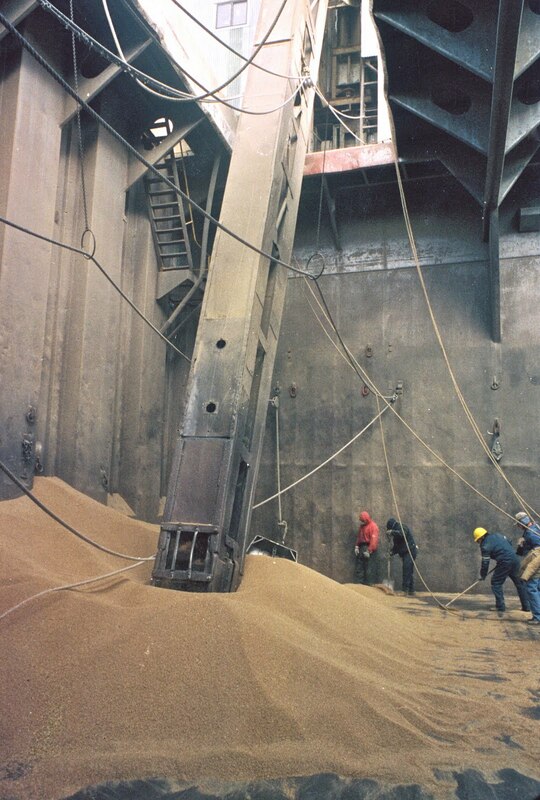 "The storage of the first elevator was 55,000 bushels, it's capacity was trebled three years later. During the twenty two years that have elapsed, the rapidly increasing receipts of grain have made demand for increased facilities for transfer and storage. There are now (1865) twenty seven elevators, besides two floating elevators, with a capacity altogether fully six million bushels, and capable of moving in a single day more than the entire annual receipts in this port at the time my elevator was built." The Dart Elevator burned in 1863 and was rebuilt immediately as the Bennett Elevator. 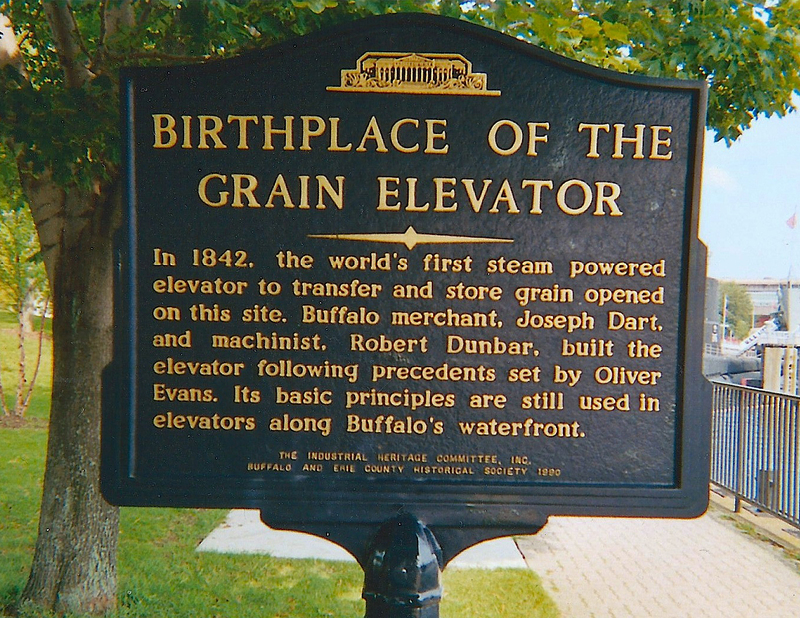 Buffalo soon after became the greatest grain transfer port in the world, holding the title for over a hundred years. 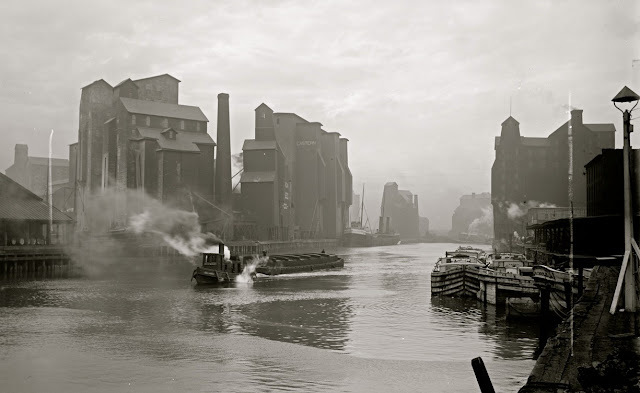 By 1899 Buffalo had about 52 grain elevators including four floaters and transfer towers and developed into the third largest port in the world in terms of tonnage. 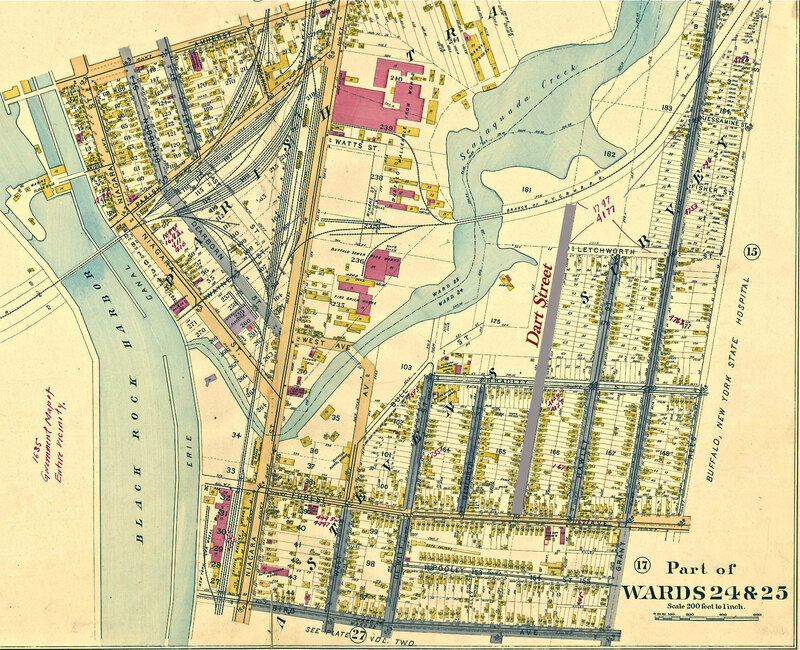 It was Darts innovation that spearheaded this revolution of progress in Buffalo from a small village in 1825 to the third largest port in the world in 1899. 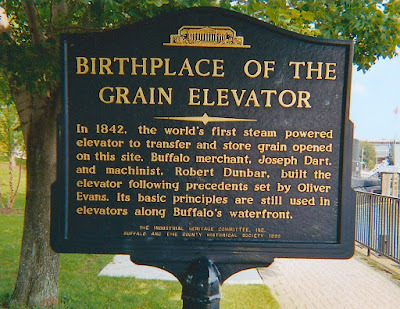 It's basic principles still in use in Buffalo until 2003 when the remaining elevators were converted to accommodate self-unloading vessels. 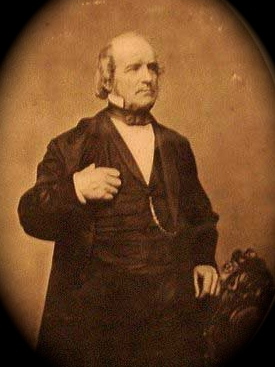 Joseph Dart died in 1879 at the age of 80. Five of his sons and daughters survived him. His only direct descendants living in Buffalo(1938) are his granddaughter, Mrs. Frederick C. Gratwick (Dotha Dart), and her three sons and two daughters. Grain Elevators As They Were: Part One, two and three. I still was not given the information needed for my research. Although the information provided was useful.